Entries must be made by Friday, April 20, 2018 at 10:00 am CST. Winners will be announced and contacted by email shortly after. One entry, per person, per day! I would love to win a pair for my husband! His job used to pay for them to get boots but they don’t anymore so he’s been wearing the same ones for a while now. Thanks so much for the great giveaway! What a great giveaway! My husband loves the Ariat Workhogs. I entered him in the contest! What a surprise to him if he wins a pair of work boots! Thanks for the contest. Great boots looking forward to win a pair! Ariat is the only brand of workboots worn in this household!! I would love to win a pair of these for my grandson. I always buy Ariat work boots! I’ve been doing plant maintenance for years and Ariat is probably the most comfortable boot for working on concrete and steel! New mom with hard working husband.. would love to show appreciation with some new Ariat work boots!!! Would like these for my grandson. So hope to win much needed boots!TY for this opportunity. Thank you Cavenders for the chance to win a pair of boots. I always try to enter for a chance to win. You just made my day when I saw my email for this contest. I have always worn Ariat cowboy boots. Got my husband his first pair of Ariats and that is all he wears now! He said I better get him another pair before he wears these out! To win a pair of boots for my fiancé would be great! We just had a baby so money is tight and I know he could use a pair for work. 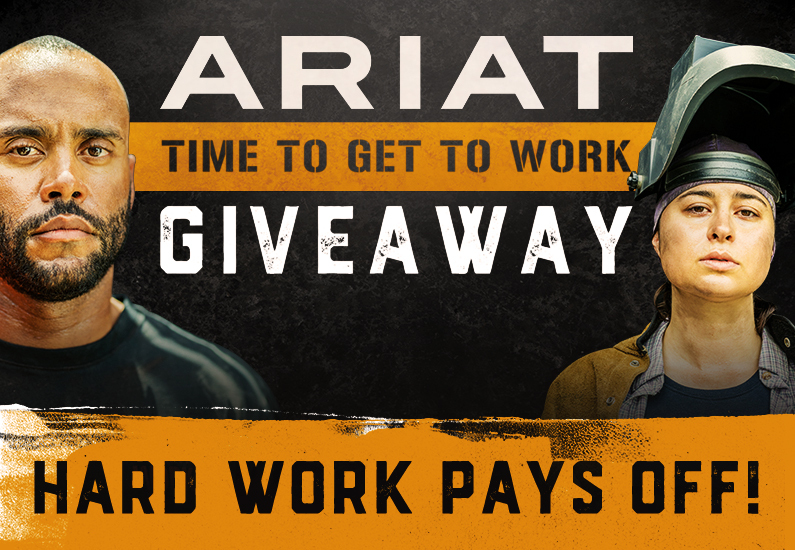 I wear Ariat boots off the job…I’d love to try them on the job, at the power company I work for. My 20 year old son hurt his foot a couple of years ago and Ariat work boots are the only footwear that doesn’t hurt! This pair is worn out! Hopefully he can win a pair, so he isn’t asking me to rub his foot all of the time! Ha! My husbands birthday is coming up and our anniversary, this would be a great gift. Ariat”s rock! !